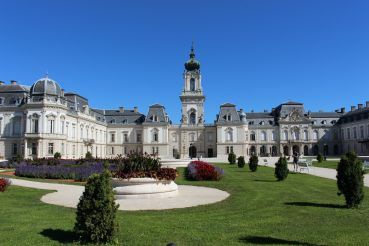 Royal Palace of Godollo - a sample of the luxurious palace architecture in Hungary. Every year it is visited by more than three hundred thousand tourists. Construction of the palace began Count Antal Grassalkovich in the 18th century. 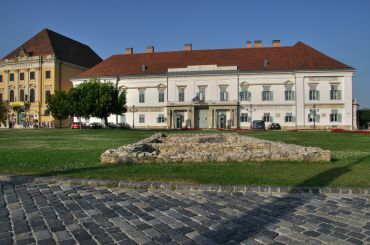 The palace was rebuilt several times, and in 1867 became the official residence of the Hungarian monks and throughout history maintained the status of politically exposed places. Palace of Godollo is an elegant example of architectural style baroque. Its luxurious rooms are part of the museum's compositions, which are devoted to the era of the Austro-Hungarian Empire. Attracts the attention of a ceremonial hall of the palace. This is where the wedding of Emperor Franz Joseph and Empress Elisabeth. Hall is richly decorated with golden stucco work in the Baroque style, and on the ceiling - a huge crystal chandelier with candelabra. In the palace of regular arts festival and concerts of classical music. The Royal Palace is famous for its gardens and park complex, which was named in honor of the Empress Elizabeth. Here in the summer horse races are held. Godollo city is just an hour drive from Budapest. To get to the royal palace in Gödöllő via train, which departs from Budapest station Keleti. You can also get on the bus, which departs from the station Volánbusz.